TETRA Pak has released microwaveable Tetra Wedge Aseptic 200mL cartons. The products allow meals to be prepared quickly. Each carton requires heating for just minutes in the microwave and the 200mL size provides a serving suitable for two to four people. 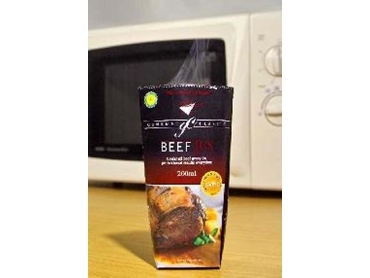 The cartons incorporate a PET siox-based food contact barrier which, along with ultrasonic sealing, creates a fully aseptic microwaveable product. The product can be stored at ambient temperature without the need for refrigeration.